In a Nutshell: Many people would like to contribute to nonprofits and other charitable organizations, but not everyone has the extra money to spare. Luckily, VolunteerMatch exists to help motivated people find ways to contribute their time instead. The online platform features thousands of ways for volunteers to put their energy and enthusiasm to work in support of an array of causes. In addition to offering the satisfaction of having contributed to good works and communities in need, these charitable opportunities often help volunteers learn new marketable skills applicable to their personal and professional goals. Because VolunteerMatch carefully reviews and verifies the legitimacy of every organization it lists, volunteers can rest assured their efforts are making real impacts on the lives of those they seek to serve. After retiring, Susan Miller wanted to volunteer and put her newfound time and energy to constructive use. To that end, she discovered and joined the Court Appointed Special Advocates (CASA) of Jackson County. Through this organization, she represents and advocates for abused and neglected children. Her role is to become acquainted with a child, consult adults familiar with that child’s situation (foster parents, teachers, doctors, etc. ), and provide the juvenile justice system with recommendations on how to best meet that child’s needs and ensure a safe, stable environment. At the other end of the age spectrum, Noah McNair is a young adult who has volunteered his time since he was a young boy. Most recently, he worked with the Society for the Prevention of Cruelty to Animals (SPCA), cleaning cages, spending time with dogs, and supervising adoption visits. Noah’s other recent charity projects include helping intellectually disabled persons with the arts, tutoring younger children to improve their literacy, and stocking, preparing, and delivering food to people (and, of course, their dogs) who would not otherwise be able to enjoy nutritious meals. Susan and Noah both have a desire to give back to the communities in which they live. Many people share this desire, but — as most retirees and teens will tell you — they aren’t always able to monetarily contribute to worthy causes. What Susan and Noah have is the time and passion to spare. They were able to put both to good use thanks to the service opportunities they discovered through VolunteerMatch. “Noah’s and Susan’s stories prove you can never be too young or too old to give back to your community,” said Basil Sadiq, Marketing Manager for VolunteerMatch. And that is exactly what the platform does: It helps people put their time and interest to work serving others. Susan wanted to volunteer but wasn’t sure what opportunity would be a good fit for her personality and skill set. Similarly, when Noah moved to a new town, he wanted to find ways to contribute to his community’s unique needs. Just like Noah and Susan, whatever your situation or motivation may be, VolunteerMatch can connect you with a charity or nonprofit organization that needs your help. 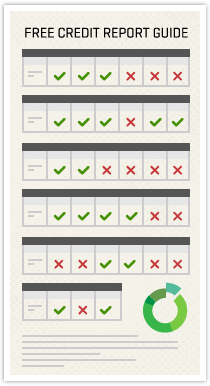 The platform features volunteer positions organized according to 29 broad categories. Among the most popular are children and youth, education and literacy, health and medicine, and seniors. Aspiring volunteers can visit the site to find ways they can volunteer in their cities or towns. They can browse by individual opportunities or by organizations in need of volunteers. Descriptions of specific positions include a summary of the role, the associated cause areas, the times and location of the need, necessary skills, personal characteristics that fit the opportunity, and the required time commitment. Organization profiles provide an overview of the cause and a list of current volunteer opportunities. Whether browsing individual opportunities or organizations, users can filter their options by cause area (animals, arts, etc.). All listings on VolunteerMatch are appropriate for adults; additional filters help children, teens, people over 55, and groups find suitable volunteer opportunities. In short, anyone who has a desire to contribute their time and effort can find something that fits their needs and interests. But if the options still seem overwhelming, users can use VolunteerMatch’s quiz “What Kind of Volunteer Are You?” to help narrow their search. The quiz consists of six questions and takes only a moment or two to complete. Users are presented with a list of organizations and opportunities that best fit their personality and preferences. Beyond providing opportunities for people to serve others, VolunteerMatch is changing what, precisely, volunteering means. For example, the platform offers more than 6,700 opportunities to become a virtual volunteer. As with traditional volunteerism, people can use their unique skill sets to benefit a charity or nonprofit. But, unlike traditional volunteer roles, their efforts don’t have to involve actually being there. These virtual opportunities — which can be toggled on and off in the VolunteerMatch search sidebar — expand the ways people can leverage their skills and abilities. “These types of opportunities are perfect for folks who have busy daytime schedules or for people who appreciate the flexibility of being able to help anywhere, any time,” Basil said. And, beyond giving back, Basil was quick to point out the other self-improvement benefits of volunteering. “A lot of people don’t know that volunteering can be a great way to learn a skill,” he said. Anyone seeking to learn something like professional writing or project management can filter their search results to find opportunities that offer training and development in these and other skills. “You can apply to volunteer for an organization looking for a project manager or a writer and that can be your foot in the door for gaining the experience you need to one day lead a successful career down that road,” Basil said. Finally, as Noah showed us, volunteering also helps people get acquainted with new situations and environments. “For those who are moving to a new community and are looking for something to do in that community — to meet new people, learn different things — volunteering is a great way to help them adapt,” Basil said. A great example of this is Kajal Patil. After moving to the United States from India, Kajal used VolunteerMatch to connect with Meridian International Center, where she reviewed applications for the Young Leaders of the Americas Initiative. In addition to helping empower young entrepreneurs, she was able to improve her own professional skills and become better accustomed to her new home. In sum, volunteering is always about giving back. But beyond the personal satisfaction it offers, volunteering can offer substantial personal benefits, as well. Undoubtedly, anyone who donates their time and energy wants to know their hard work is going to count for something. And that is why VolunteerMatch takes very seriously the task of vetting the organizations they promote. 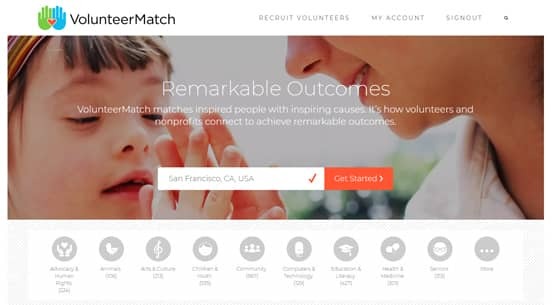 Over the course of more than 20 years, VolunteerMatch has become a volunteer recruitment SEO leader. The platform’s services are primarily discovered through search engines (though professional networks, social media, and word of mouth also contribute to spreading the word). US-based groups can register with VolunteerMatch and post opportunities if they are a 501(c)(3) tax-exempt organization; a government entity, like a school or library; an organization with state-level tax exemption; or a for-profit hospice, hospital, or long-term care facility. When registering with the platform, organizations are asked for information like their employer identification number (EIN) or an IRS determination letter. Such documentation allows VolunteerMatch to conscientiously verify and approve nonprofits and charities. Thanks to these measures, volunteers can be certain they’re donating their time to reputable, trusted organizations. Each year, VolunteerMatch conducts a randomized survey gathering proportionate feedback across its user demographics. Reporting that the most recent feedback has been “encouragingly positive,” Basil said the latest findings revealed that 93% of the platform’s users would recommend it to their friends and family. That’s a supermajority of volunteers who — like Susan, Noah, and Kajal — are thankful for the opportunity to connect with causes they wouldn’t have otherwise known about. Anyone who wants to join their ranks can be certain that the perfect opportunity is waiting for them on VolunteerMatch.